Is Starbucks Interfering With Your Weight Loss? I hear this a lot. 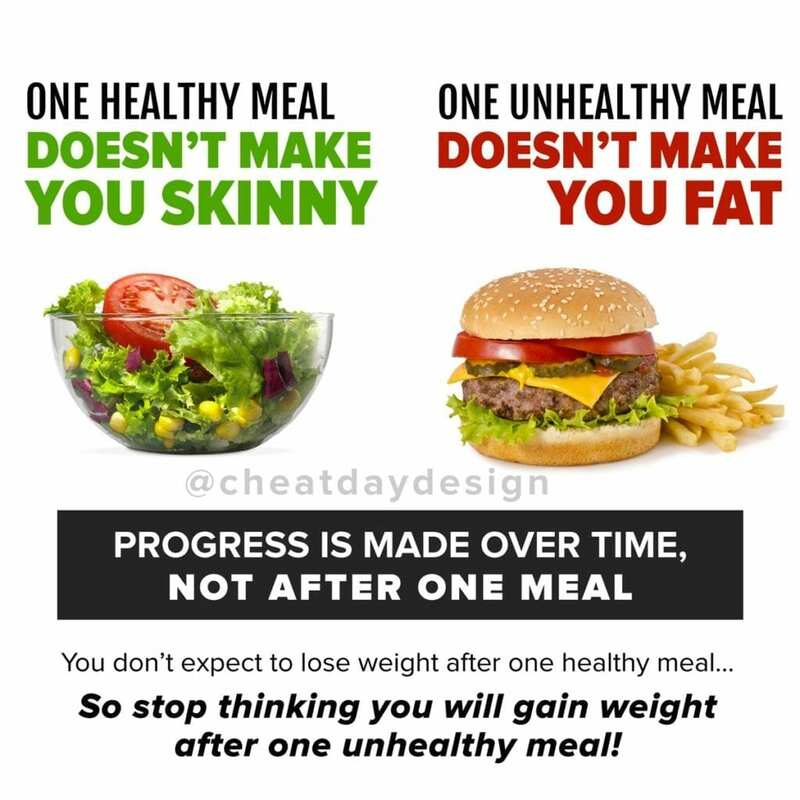 If you’re in a caloric deficit, you should be losing weight. So what’s wrong? In a lot of cases, people forget to count their liquid calories. When tracking calories, you need to take EVERYTHING into account. It’s easy to dismiss your morning pick-me-up and just say you drank a coffee. But unless you’re drinking black coffee, there are calories, and sometimes a real lot. 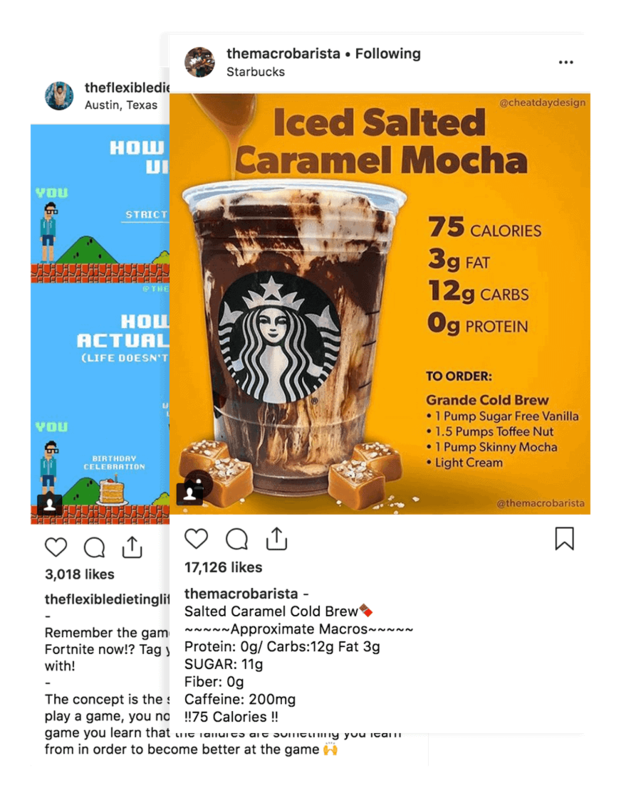 This might be an extreme example, but you can see how you can very easily offset that caloric deficit just after one “coffee”. 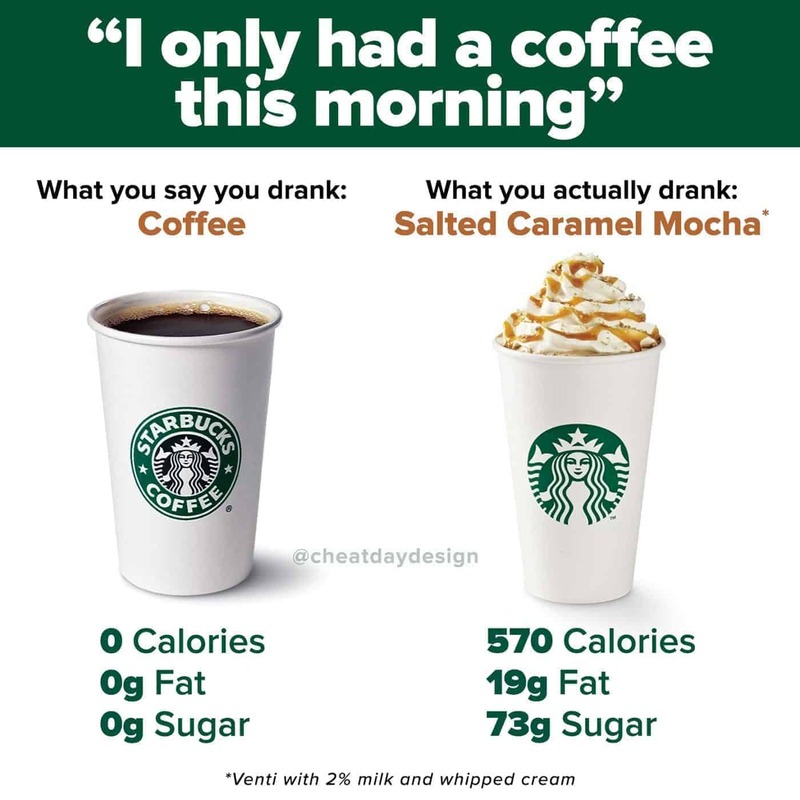 But even if you’re just adding cream and sugar to your coffee, those are calories you need to take into account. 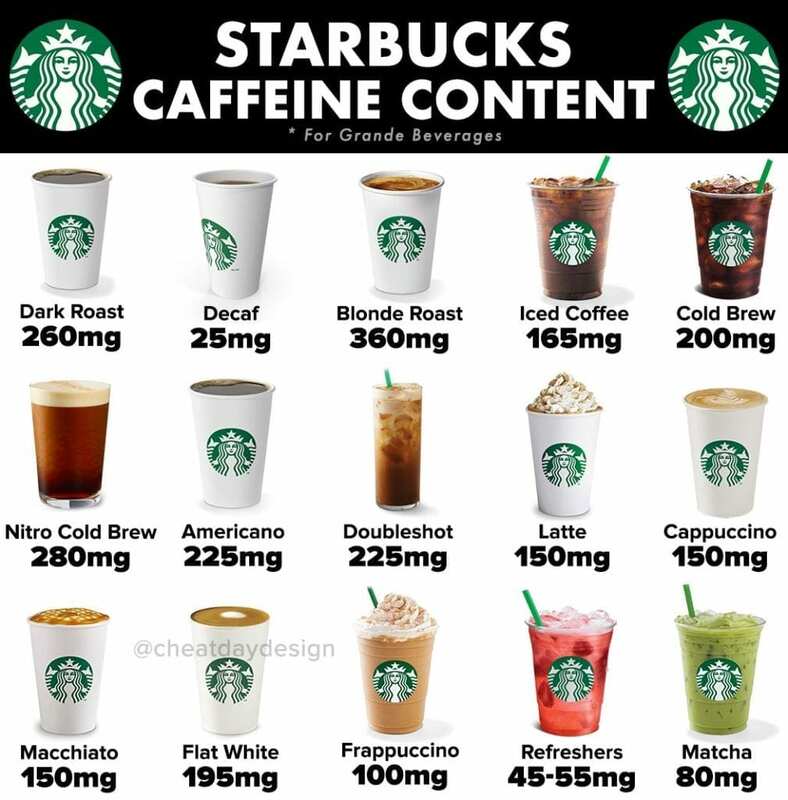 Do you need to give up coffee? Of course not. I would never tell you to do something so reckless. 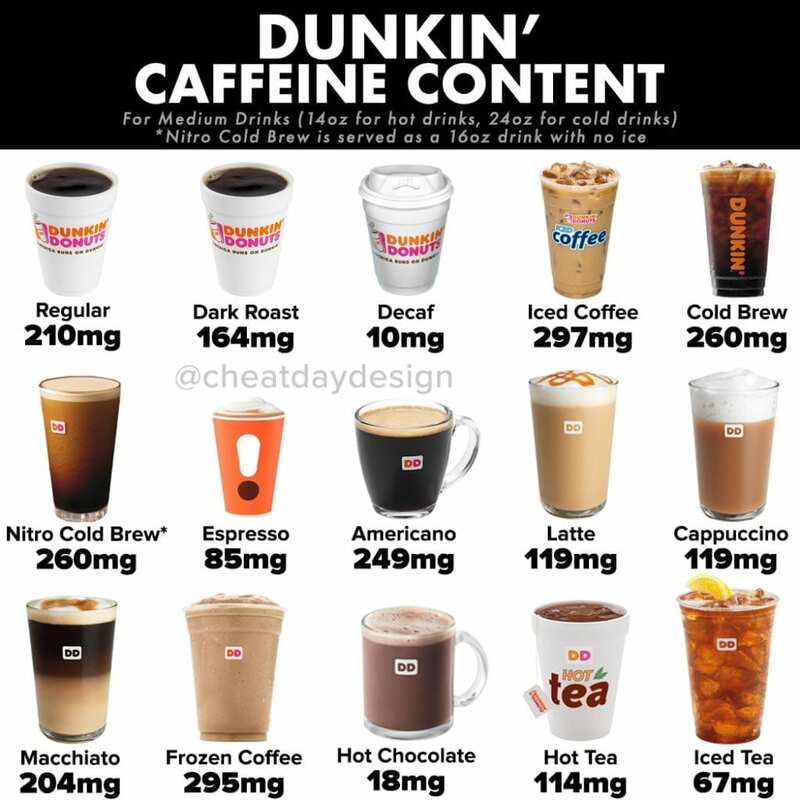 But I do recommend avoiding coffee that is loaded up with more fat and sugar than actual coffee. Once in a blue moon is fine, but if your daily coffee break looks like the above, you should consider making some changes. Try sticking with black coffee. But if you need to add some cream, look for nonfat milk or almond milk. Focus on sugar-free syrups if you need some flavor. Instead of sugar, use stevia and/or spices like cinnamon or nutmeg. Or, follow @themacrobarista and just order his recipes exactly as you see them to take out all the guesswork! 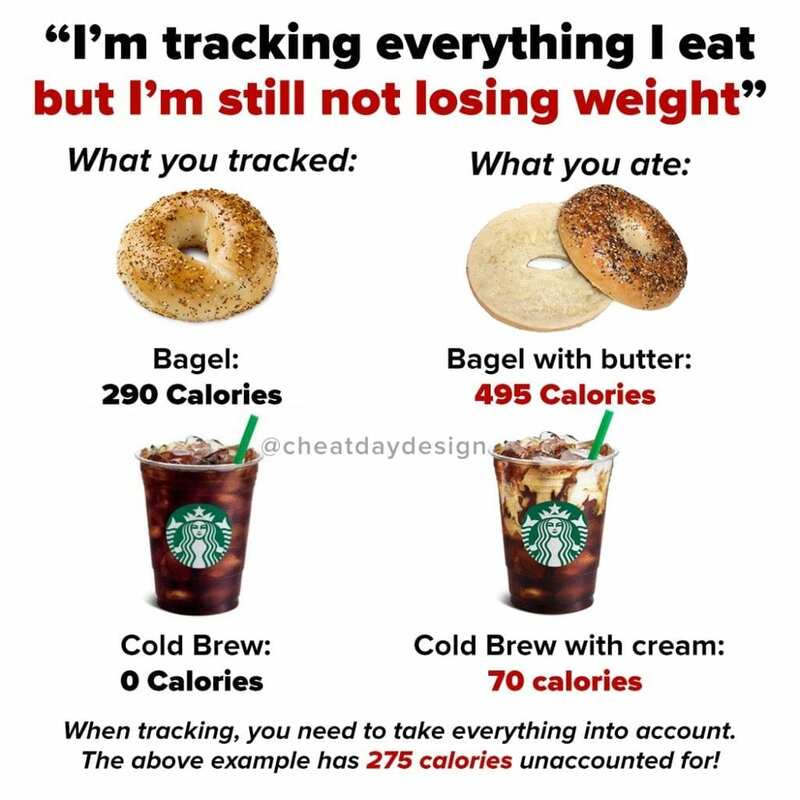 If you can’t figure out why you’re not losing weight and you’re tracking everything you eat, make sure you take into account what you’re drinking. Yes, even if it’s just cream & sugar in your coffee, because it can add up!